An annual Salute to American Graffiti honors George Lucas’ timeless, coming-of-age film, American Graffiti, most of which was filmed in Petaluma in the early summer of 1972. 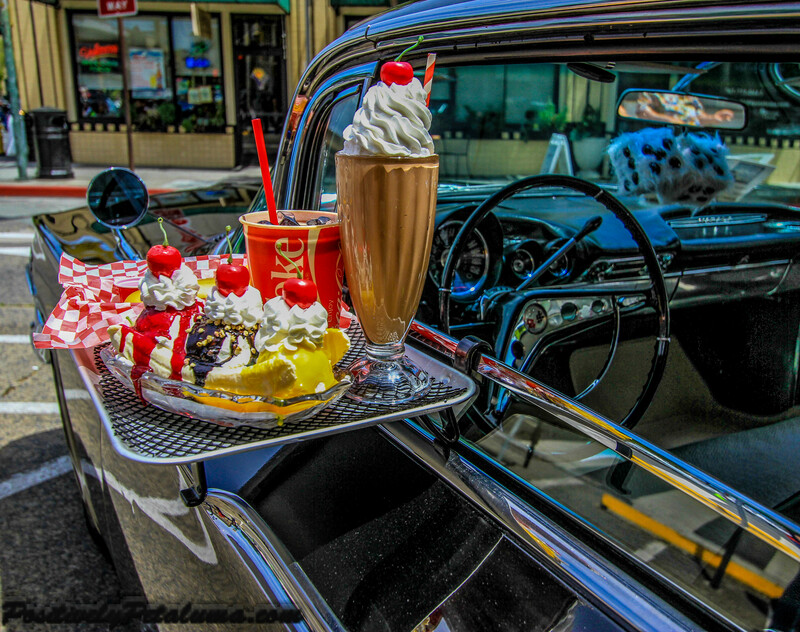 Grab your favorite squeeze, jump into your hot rod, candy-colored screamin’ machine or the family car for that matter, and cruise on back to the “happy days” of the ‘50s and ‘60s. 4 – 7 pm: Come visit with the movie stars. 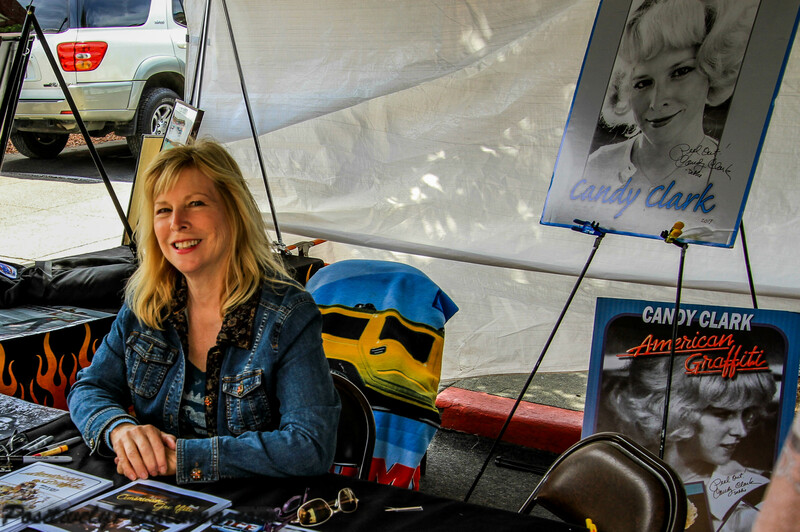 This year, Candy Clark, Bo Hopkins, and Lynne Stewart will be joining us. 8:30 am: XERB – Tune your radio to XERB – 88.1FM – DiscJockey and Petaluma Mayor, David Glass, will be hitting the microphone with some great old tunes. New in 2015, The Cub Scouts have opened their track pinewood derby car and race it against other cars for trophies. 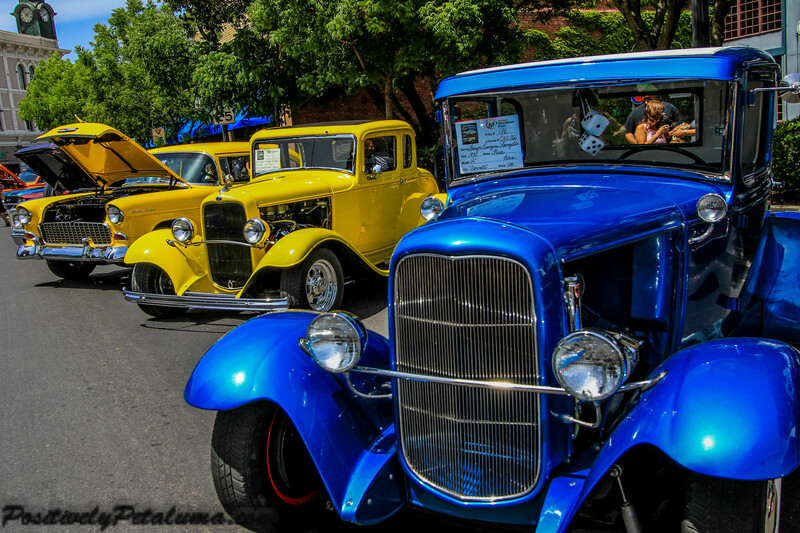 10 am to 4 pm: Stop by the American Graffiti Display on the corner of Western Ave and Kentucky St. 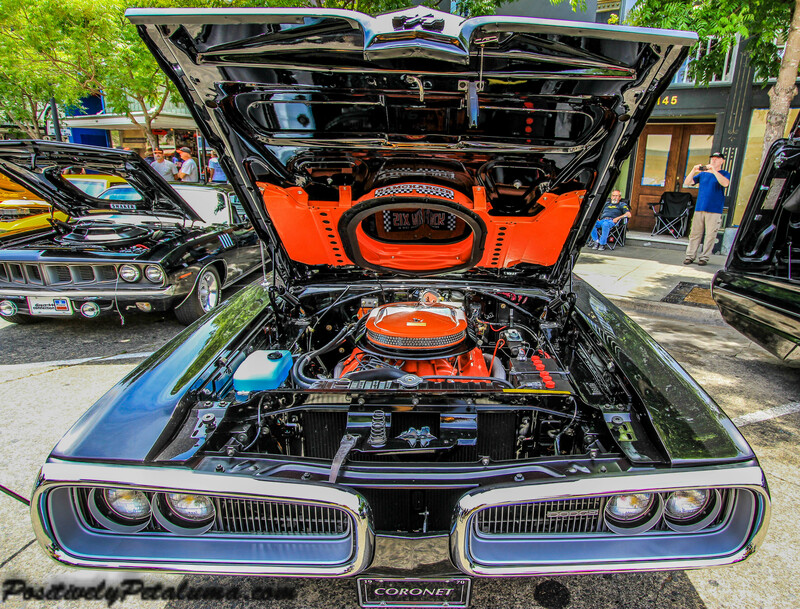 There you will see and meet cars. 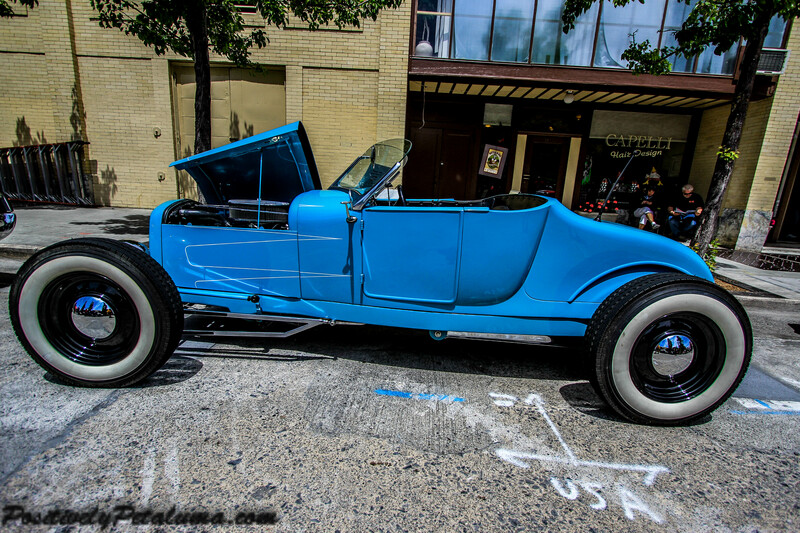 You will also see a few of the cars and their owners that were featured in the movie. 2:30 – 4:30 pm: Meet the famous local Clo the Cow and have your pictures taken with her, she’s simply MOOvelous. 4-8 pm: Cruise Starts – They’re bringing back the good times you remember from your high school days when the roar of 400 plus classic cars start their engines and take to the streets to do what they were made to do, Cruise the Boulevard.Where to Watch the Cruise: Perhaps the best place to watch the cruise will be along Petaluma Blvd, south of B Street all the way down to the turn-around circle right before the river bridge. Grab you chair, a picnic basket, something to drink, your portable radio (tuned to 88.1fm) and if necessary, jackets and a blanket. Find a spot to watch the action. 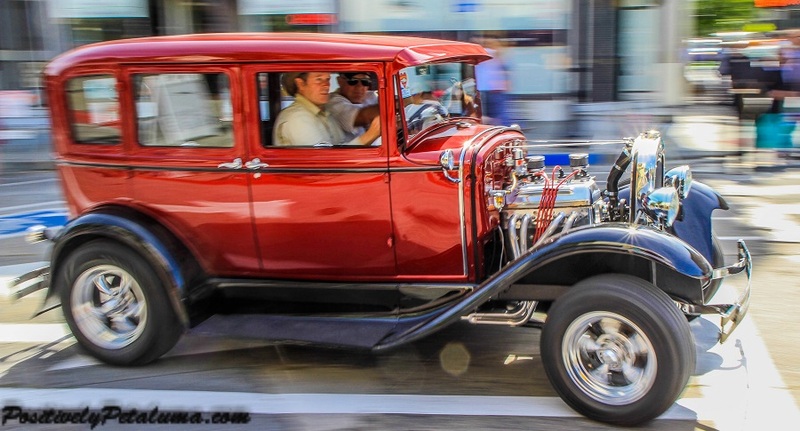 Be sure to wave and give the thumbs up to all the cruisers. 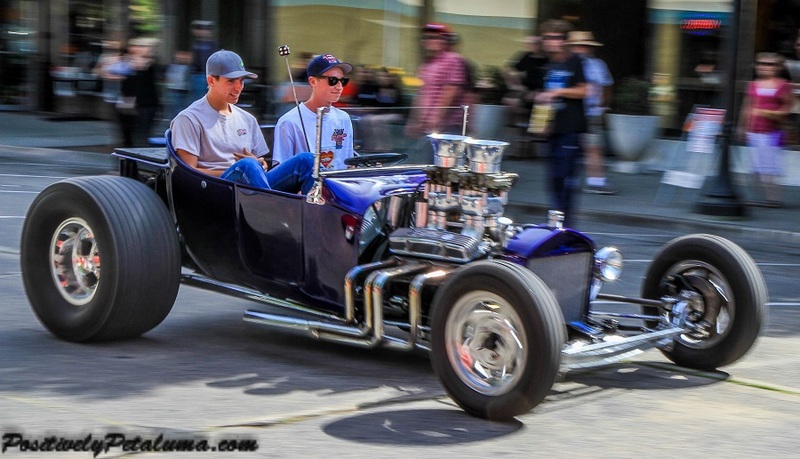 #Petaluma closes many of the downtown’s main drags to accommodate the 450 American Classic Cars and Hot Rods. 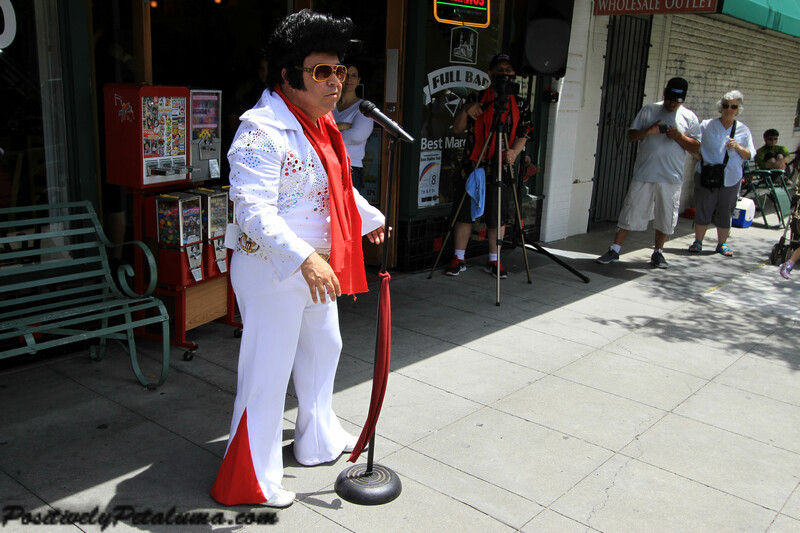 Citizens dress to mark the era, Academy Award nominated Candy Clark, an Elvis impersonator can be found as well as many of the cars that were filmed in the movie. Most of the memorable scenes in George Lucas’ timeless, coming-of-age movie were filmed in the city of #Petaluma in 1972. 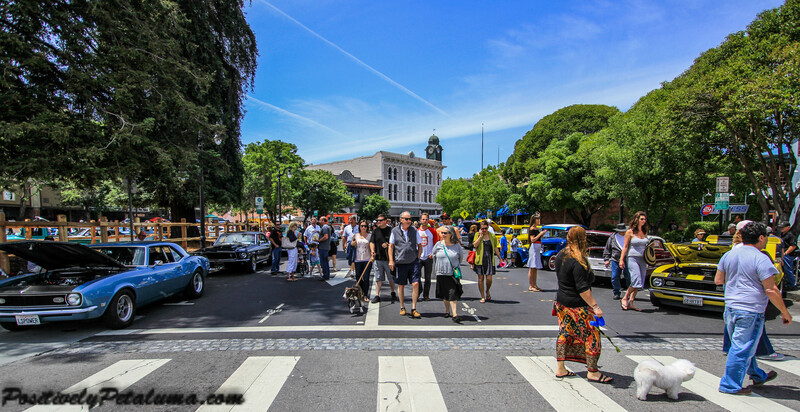 On May 27th, 2014 Petaluma held its Salute to American Graffiti annual celebration with over 450 classic American cars, cruising the main drag, rock-n-roll music and the happy days of the 50s and early 60s. All proceeds from this event is to benefit charities in our community projects, schools, and other programs that focus on the arts, history, safety and welfare of Petaluma. 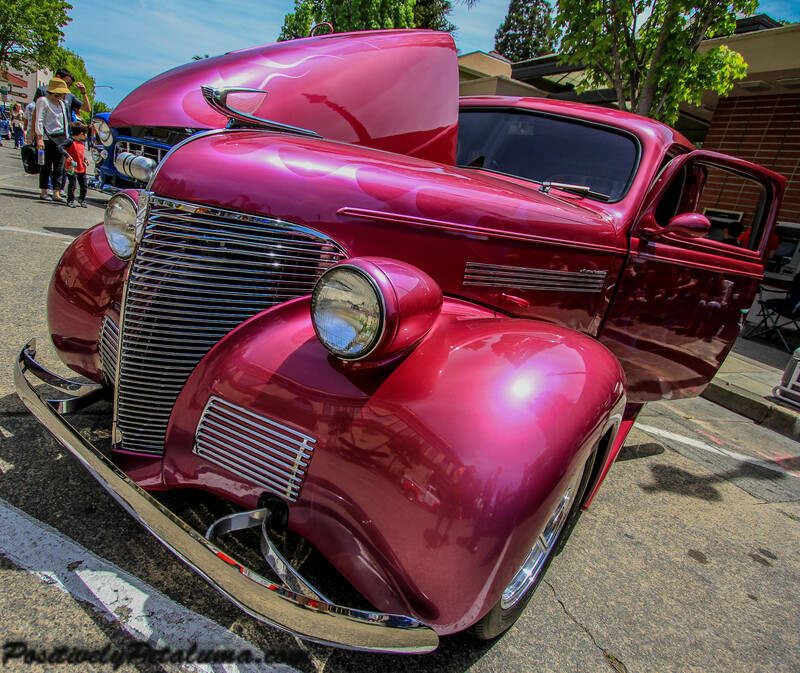 Click here to see more event photos of the streets, people, performers and guests.